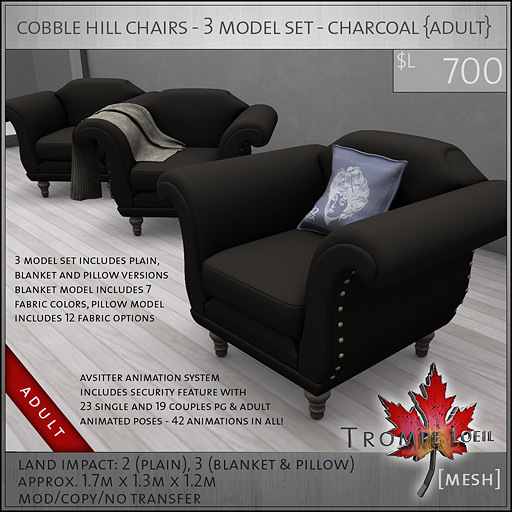 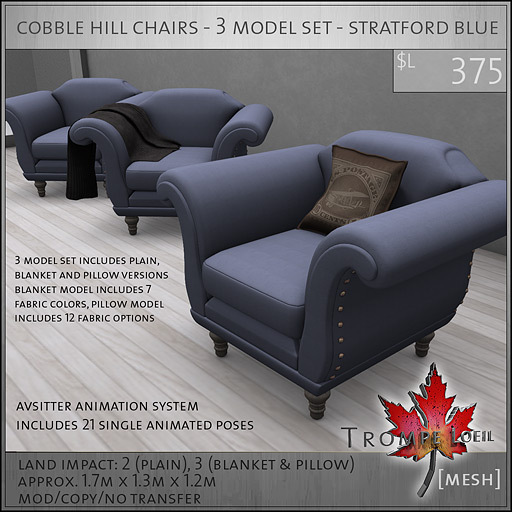 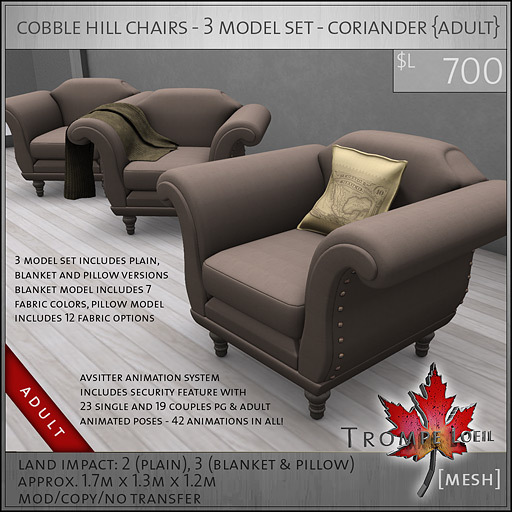 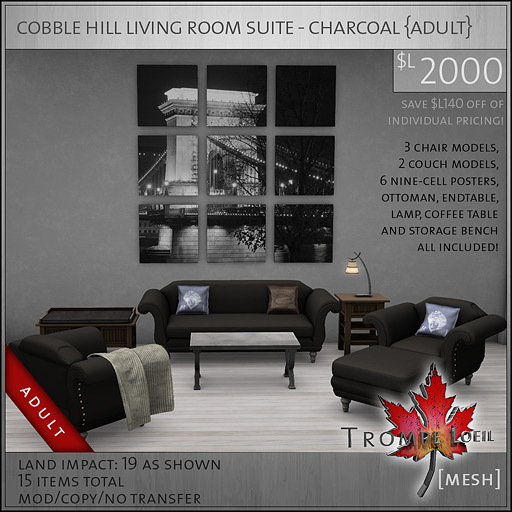 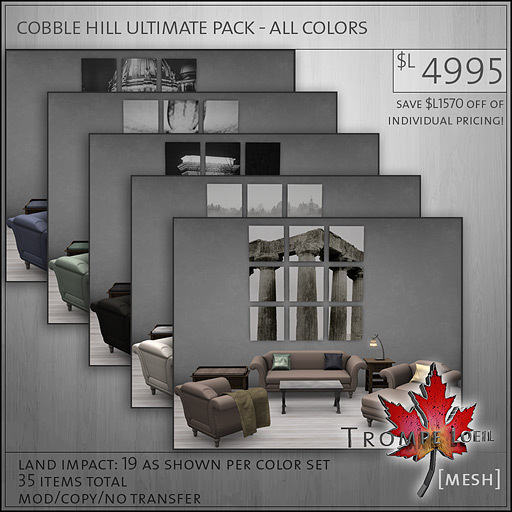 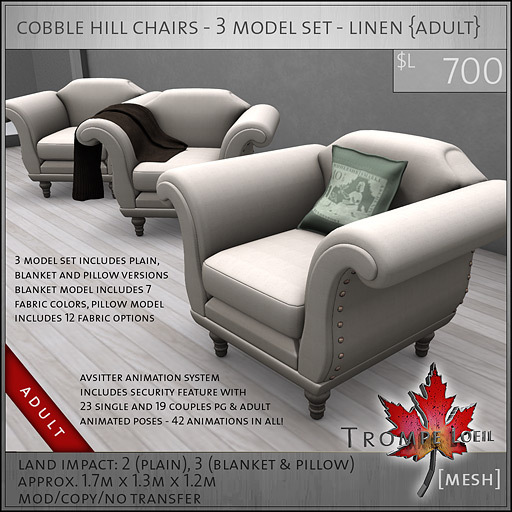 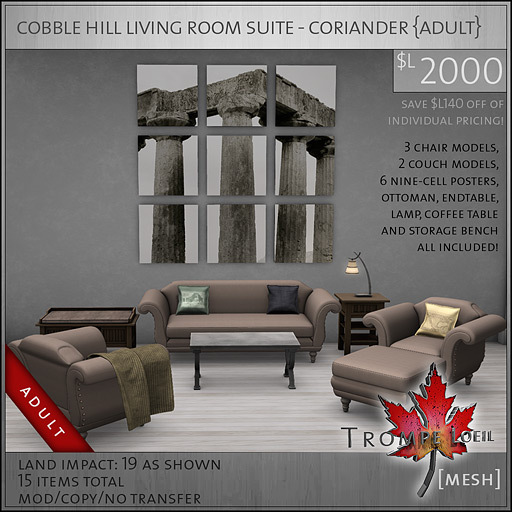 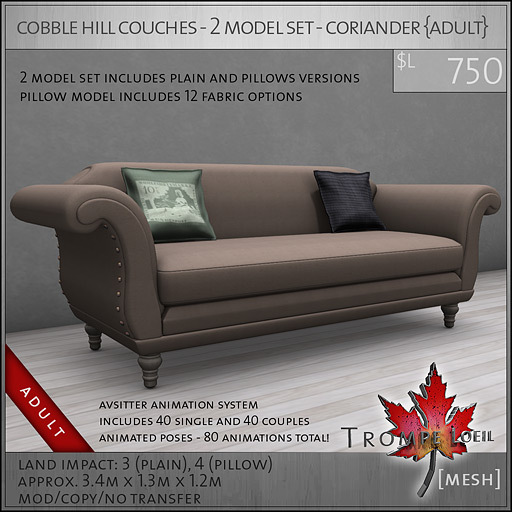 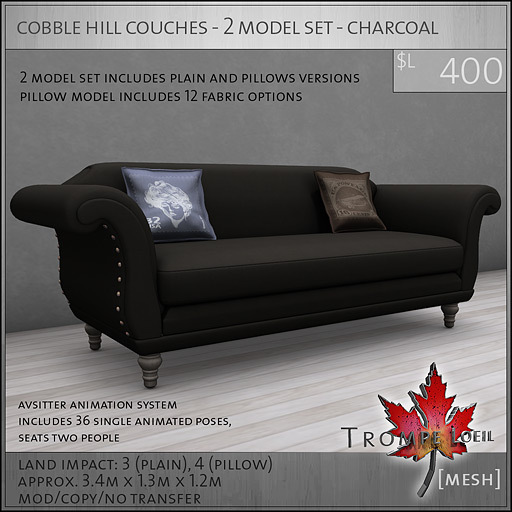 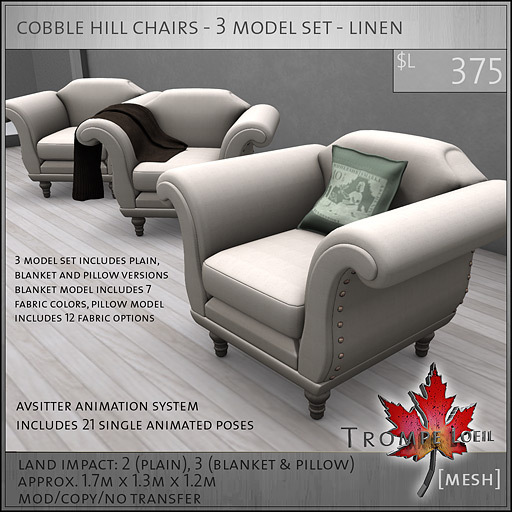 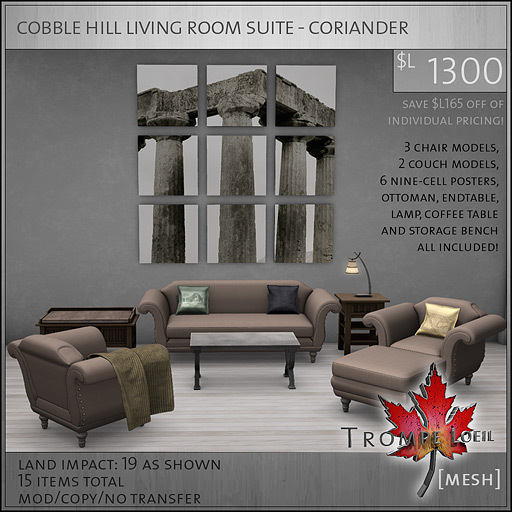 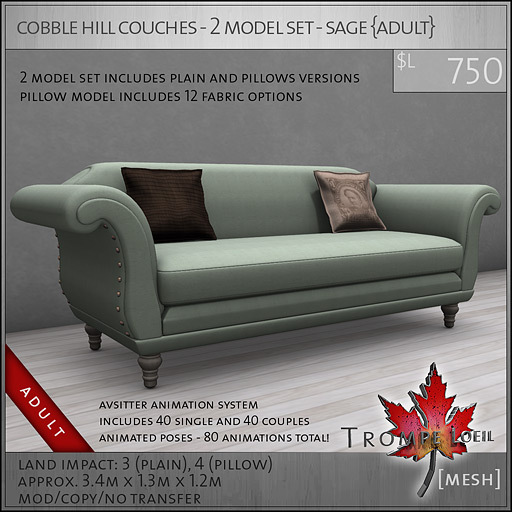 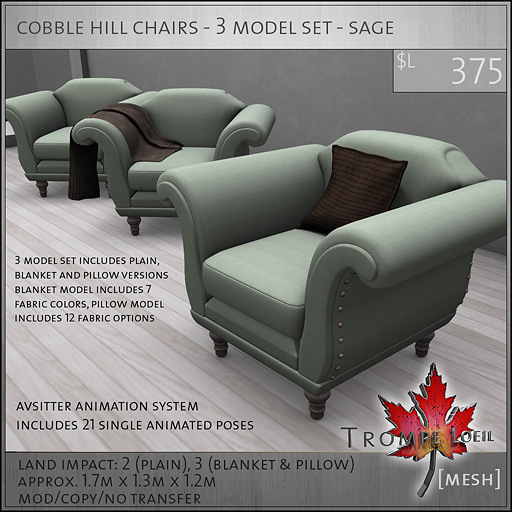 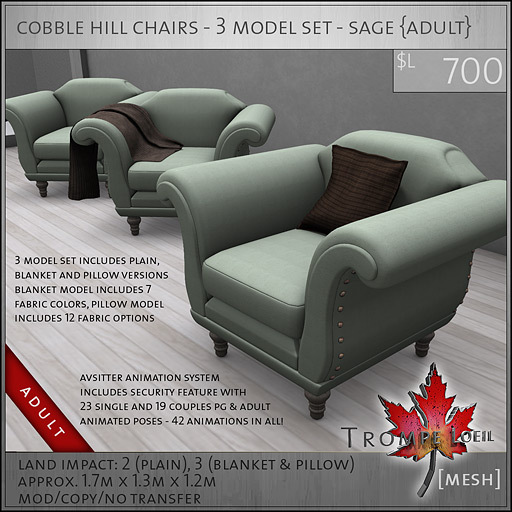 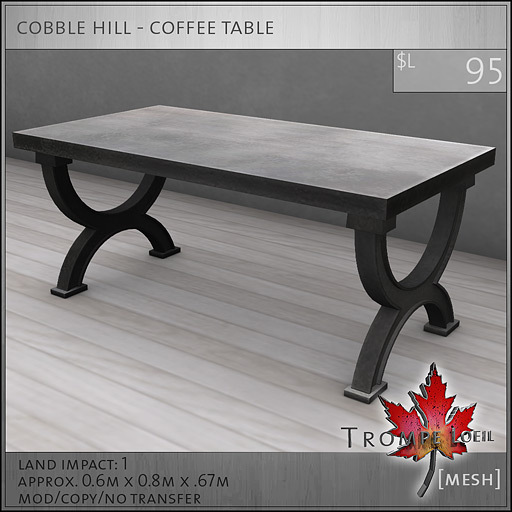 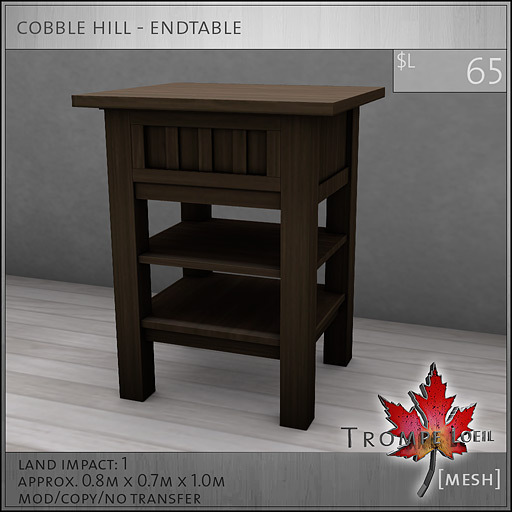 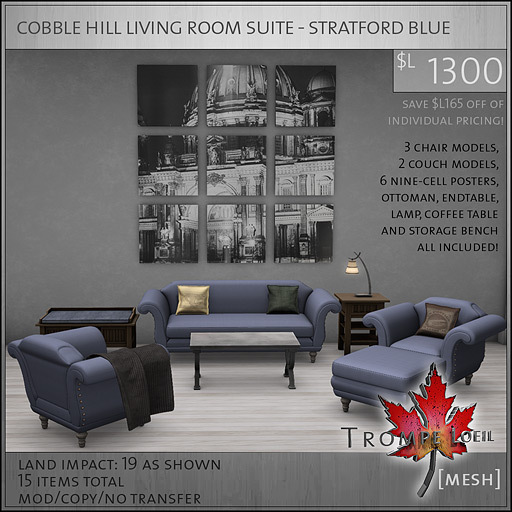 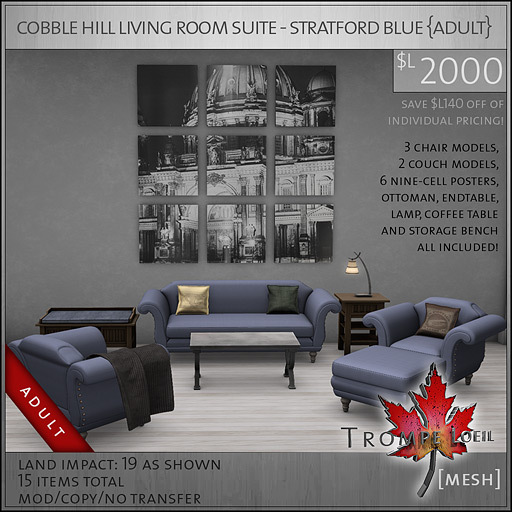 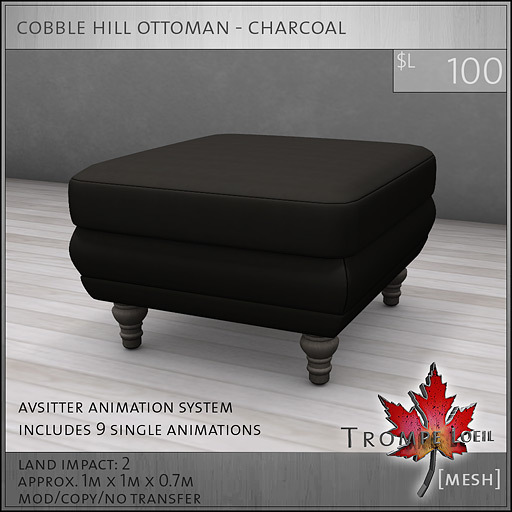 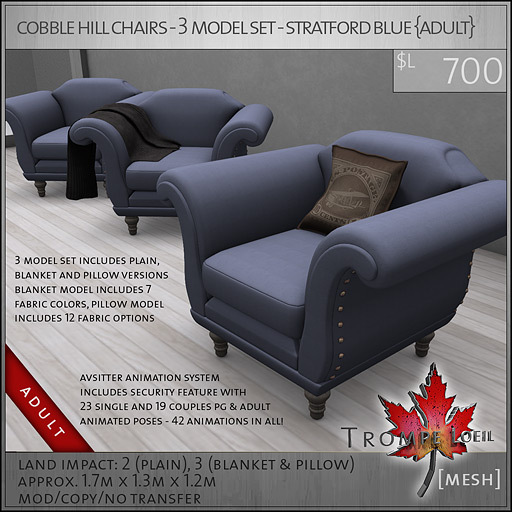 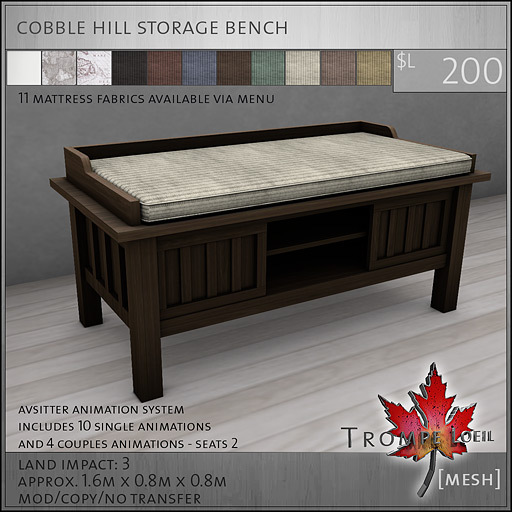 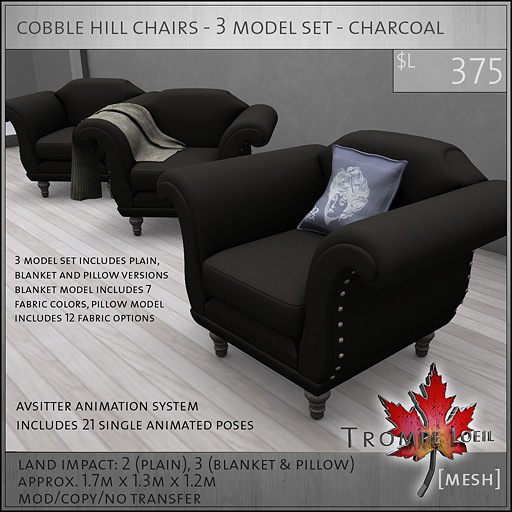 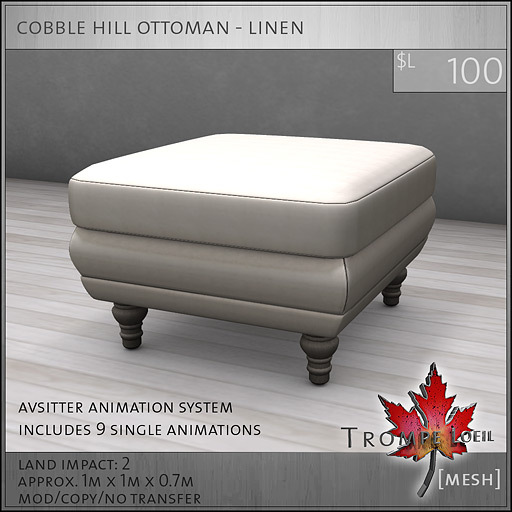 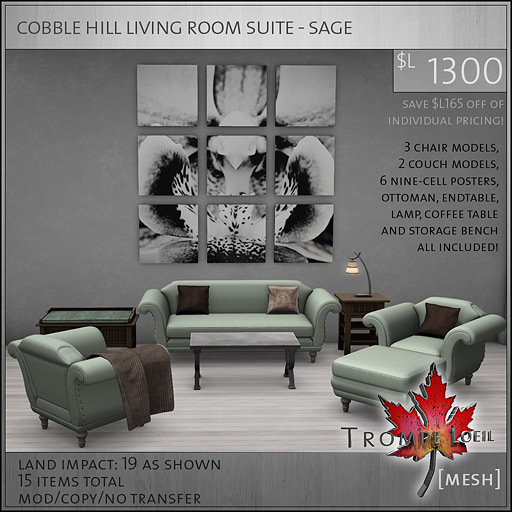 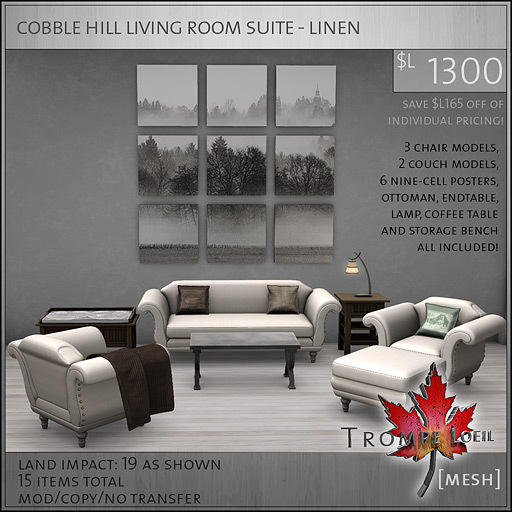 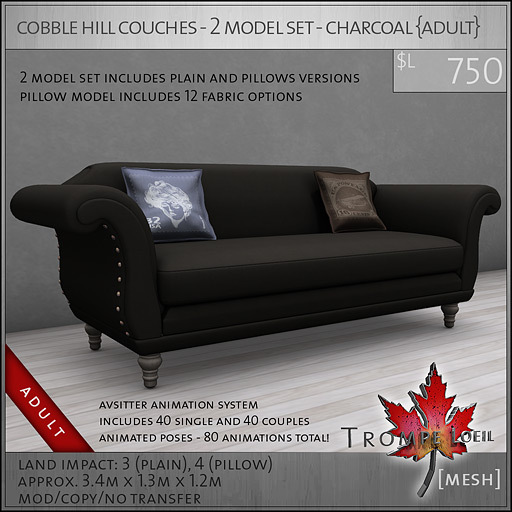 Freshen up your living room or storefront with classy new seating at this month’s FaMESHed – our new Cobble Hill Living Room Suite contains everything you need! 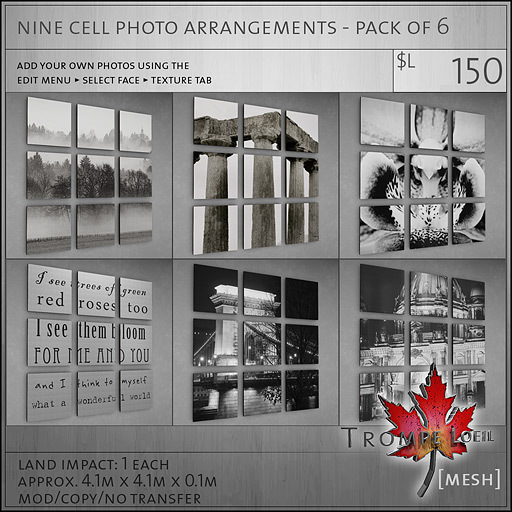 Pick from individual elements or entire color themes, adult or PG animations, even an ultimate pack containing every item in every color option – linen, charcoal, sage, stratford blue, and coriander – grab what you want, or just what you need. 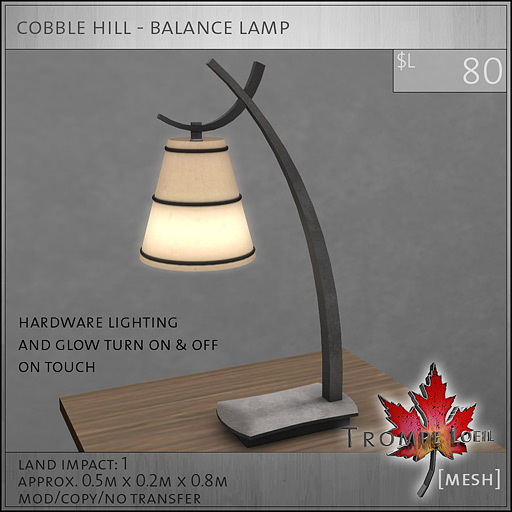 Its on display and on sale at FaMESHed starting April 1st!